Wimberg Blog | MIXED, MASSED OR INTERMINGLED? One of the main objectives of landscape and garden designers is to decipher what a client envisions when they say they want a mixed, massed or intermingled garden. The typical homeowner hears one of these terms and may have a different idea of the meaning. Instead of focusing on terminology, a designer worth her salt will have the client describe how the desired garden looks. A good place to start is to determine if the client likes having plants touching neighboring plants. Let’s suppose the client asks for a prairie garden, but doesn't like plants touching. You will be hard pressed to find a tidy, no grow zone around a plant that is safely protecting it from neighboring plants in a prairie garden. Such a client may like prairie plants grown in a very un-prairie fashion. Now imagine a client requesting a natural garden. 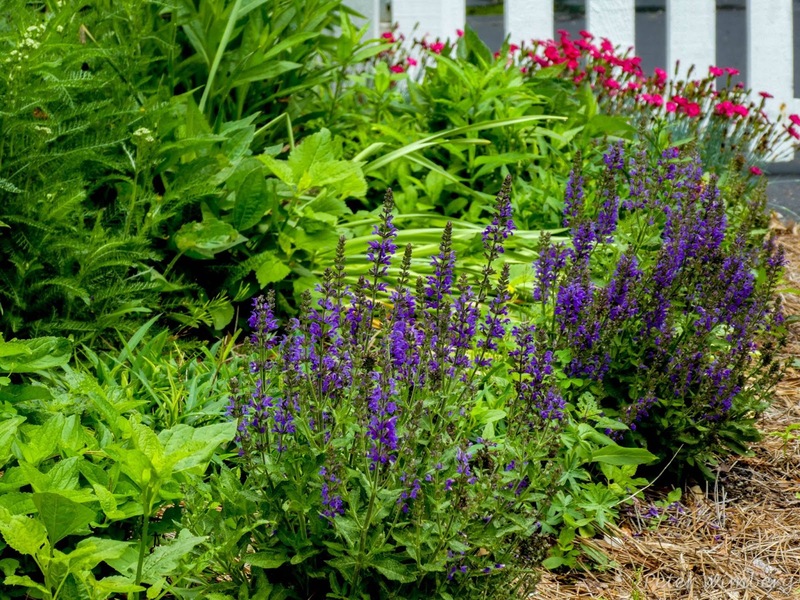 Understanding what is meant by a natural garden requires a more in-depth conversation. Does a natural garden imply a real mix of plants with no groupings of like plants, such as all the Rudbeckia Maxima planted together? Or does the client simply mean a collection of native plants? Perhaps this client likes plants, native and non-native alike installed in a more relaxed manner.